We have been providing support to the programme between Friends of Calcutta and Development Action Society since 2013, which supports the education of almost eight hundred children and young adults in four centres. 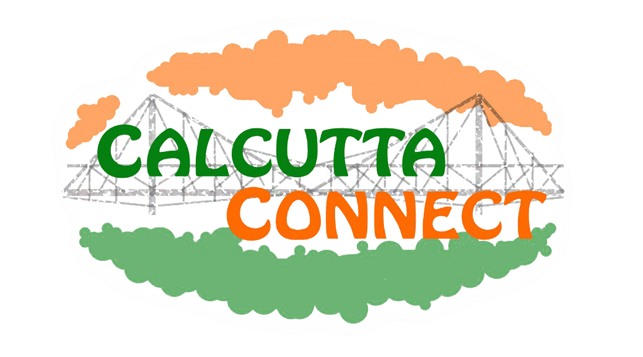 As part of this programme in 2017 Calcutta Connect will be one of the four funding partners in the Friends of Calcutta project. Read more about the below all about the centres and programmes in the Friends of Calcutta project below. Located in an old dumping ground the Tangra centre was first built in the late 90’s. The primary method of income for inhabitants in this community is through recycling of unused goods which have been scavenged from a nearby dumping ground. All sort of goods are recycled here ranging from plastics, rubber and packaging. The children who attend the centre are largely the children of the people involved in recycling from waste material or locally known as “rag-pickers”. The Tangra centre educates children of all ages in from the locality ranging from infants right up to adolescents and there is a very strong vocational training program here. 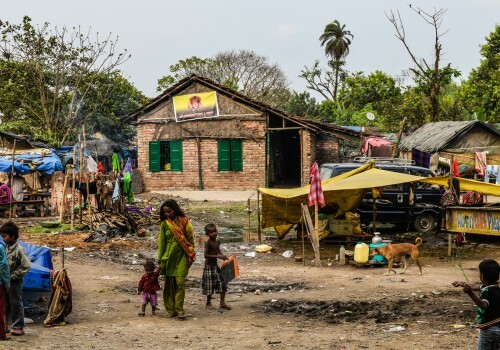 Topsia is a predominantly Muslim community where many migrants have settled from the neighboring state of Bihar in search of work in Calcutta. The production of leather and rubber goods is very common here with large numbers of the parents of students working in these factories. Here there are two buildings, our vocational training room and main school building which located between two highly polluted canals due to the large number of factories in the area. Over 150 students are educated here and there an increasing number of students in the latter stages of secondary their education. 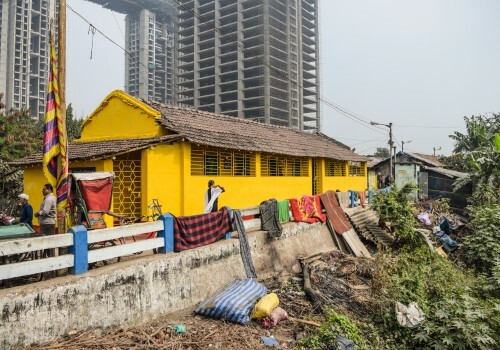 Situated in the dock area in the south of the city Khidderpore centre is where the children of many undocumented Bangladeshi migrant dock workers come to be educated. In some of the most difficult circumstances the dedicated staff headed by the school cook known locally as “the mashie” provide education to the children here. 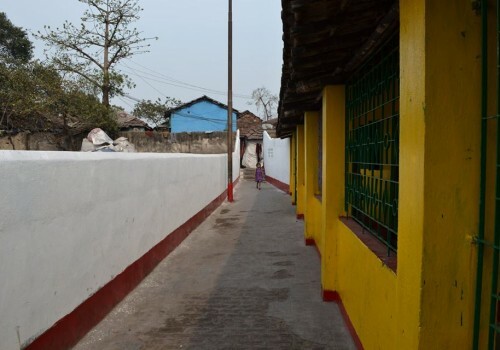 Khidderpore centre provides many of the children with their first opportunity to be educated which is often very difficult due to the transient nature of the people living here. Due to the undocumented nature of the people living here the centre is essential in providing education and medical care to local people here. The Bhubaneswari Free Primary School located in the remote Sundarban region 120km south of Calcutta. 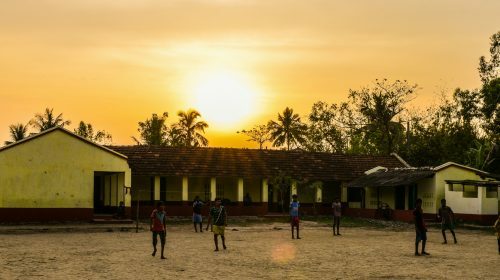 The school is situated in a remote isolated community and provides the first access to education for children from the area. Due to the area’s remoteness the provision of quality education is limited and the school is essential in providing education to children from the locality. The school presently educates 190 children from pre-school age up to class iv. In the morning school children from the local aged 4-6 years are prepared for entry into government run schools in that locality. In each centre children learn the basics of reading, writing and arithmetic in order to prepare them for entry to formal schooling. The majority of our children are first generation learners and they are instilled with the habit of learning from an early age. Once they reach six years of age each child is mainstreamed to a local school. Once a child has been mainstreamed into a government run school their progress is closely monitored throughout their school life. The students receive additional tuition in the evenings in each centre from teachers who specialise in specific subjects to assist them in the best way possible. The teachers in each centre have developed good relationships with many government run schools which allow them to effectively monitor each student’s progress and results in school. The vocational training programme is where girls who have dropped out of school or have married at a young age are trained in tailoring and design. The course lasting two years will provide the trainees with the necessary skills to make clothing which they can sell locally and to take orders. On finishing the course girls are given a sewing machine which will enable them to generate an income for themselves and their families. Due to the nature of the areas where the schools are situated a medical programme takes place where a nurse visits each centre once a week and to assess the medical needs of children in attendance. Any cases needing additional attention are referred to local hospitals for specialist treatment and medicines. 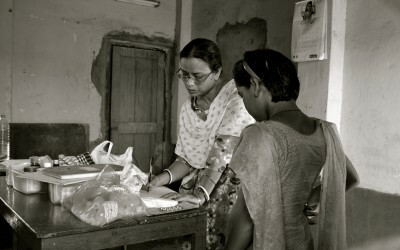 Awareness camps are run by the nurse a number of times each year to promote awareness of medical health and hygiene issues amongst parents of children in each centre. In each centre children attending the morning school are given a nutritious meal once that days lessons have been complete. Each week children are given a variety of different foods which they would normally not have in their diets which helps them in their growth and development. 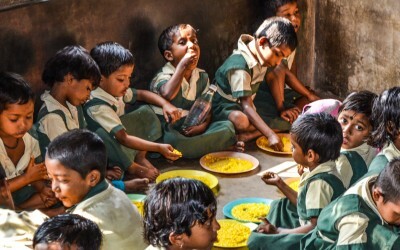 The meal also acts as an incentive for them to attend school regularly and keep up the habit of being regular in school.